Free space optical (FSO) communication link provides high-speed data transmission rate within line of sight range for indoor as well as outdoor applications. FSO comes with high sensitivity for variation in weather condition as it reflects in the form of change of dielectric properties of medium. 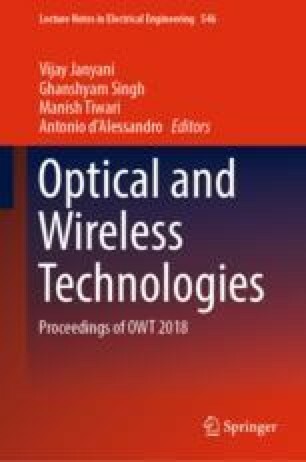 The uniqueness of the presented model in this paper is that it achieves 125 GBPS of data rate with QPSK modulation scheme and that too at 1550 nm of wavelength which is compatible with existing optical backbone network. In this paper, authors analyzed the performance of a FSO link with 0.6 km length and modulation scheme QPSK for different atmospheric conditions. Gamma–Gamma distribution model is employed to model the FSO channel link. Performance comparisons are recorded as bit error rate (BER) and signal to noise ratio (SNR) with help of simulation tool Optisystem13.